Maintenance kit with PrinterTechs compatible fuser, on exchange. HP 4610 4650 series. Maintenance kit with new HP fuser, on exchange. HP 4610 4650 series. Maintenance kit with new HP fuser, without exchange. 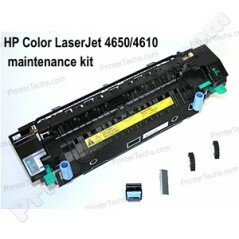 HP 4610 4650 series.